The Oakland County Parks and Recreation Commission is dedicated to providing quality recreation experiences that encourage healthy lifestyles, support economic prosperity, and promote the protection of natural resources. Oakland County is proud of its leadership in preserving park land and creating recreational opportunities for all the people of Oakland County. The parks function in an environmentally-sensitive manner to protect the natural world for future generations. 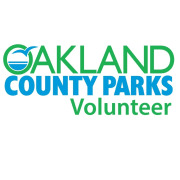 Would you recommend Oakland County Parks and Recreation? Great organization, friendly staff and good cause. Great people. They took care of their volunteers. The Organizing team are friendly and guiding us through out the event.